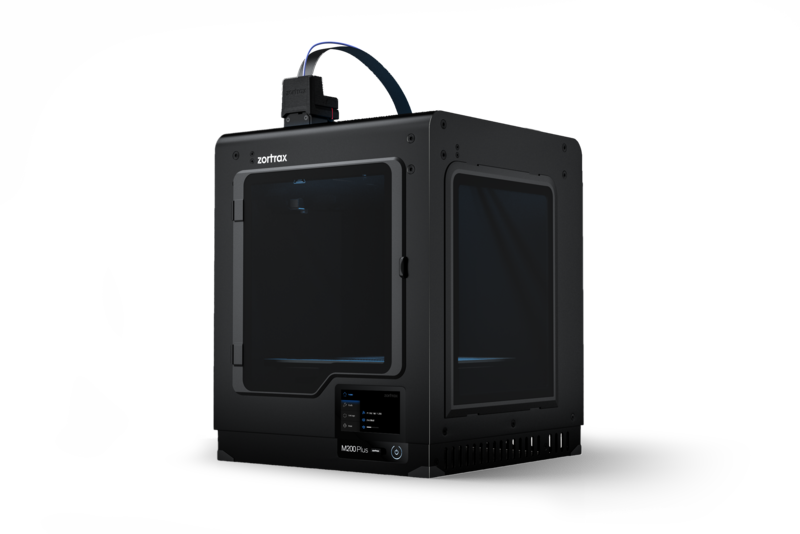 The Zortrax M200 Plus is an advanced 3D printer with many smart functions. Simply transfer 3D models per Wifi and start manufacturing via touch screen. Combine as many Zortrax M200 Plus as you need to scale up your additive manufacturing. 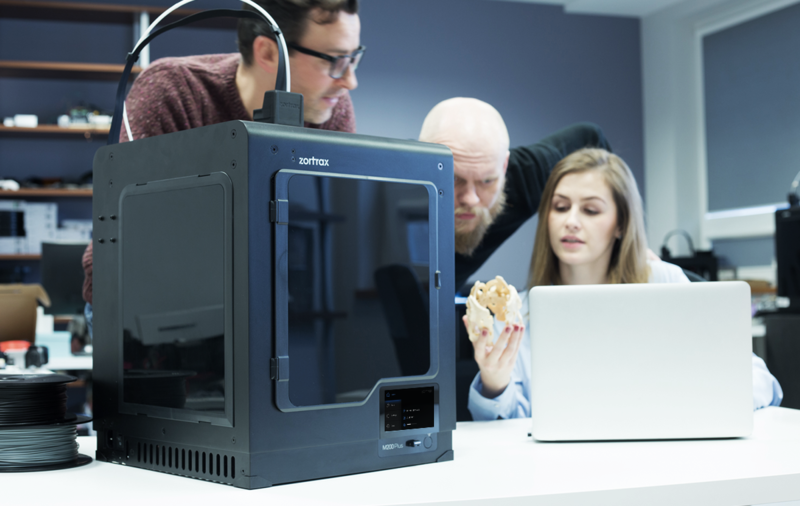 Expand your 3D printing capabilities with Zortrax M200 Plus 3D printer. Easily manage multiple devices via using Wi-Fi and Z-SUITE slicing software. Scale up your generative production now using multiple Zortrax M200 Plus simultaneously. Monitor the progress with the built-in camera. Whether is it for industrial manufacturing or prototyping, the M200 Plus 3D printer offers remarkable dimensional accuracy and consistency of integrated Zortrax Ecosystem. Get ready for additive manufacturing now. Create wireless networks of Zortrax M200 Plus 3D printers and transfer files over Wi-Fi. You don’t need to transfer your 3D prints via SD card our USB stick. Simply transfer it via the air. Your 3D prints failed because of missing filament? Don’t worry anymore 3D printing will automatically pause when the material runs out. The Zortrax M200 Plus is equipped with on material detection sensor. Extruder cooling system has been improved to guarantee the highest efficiency. With this upgrade the filament will only be heated where it should melt. Watch the 3D printing process on your computer. Now you can control your 3D prints remotely by simply using the built-in-camera to monitor your manufacturing process. 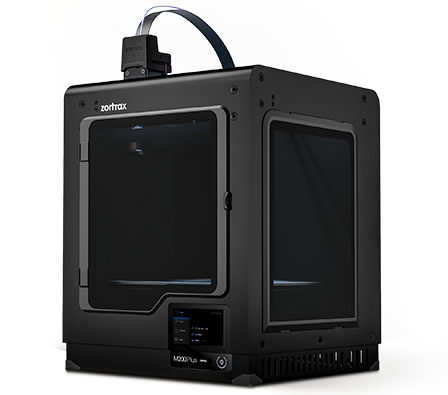 Zortrax M200 Plus is an advanced 3D printer. It is ready for high quality 3D printing right after unboxing. Just plug&play 3D print, no assembly or tinkering needed. Easily select available options by touching the icons on the built-in touchscreen. You can preview 3D models directly on the screen, too. Moreover, the interface can be improved with automatic firmware updates over the air via Wi-Fi. Beside transferring files wirelessly, you can use a USB storage device of any kind. 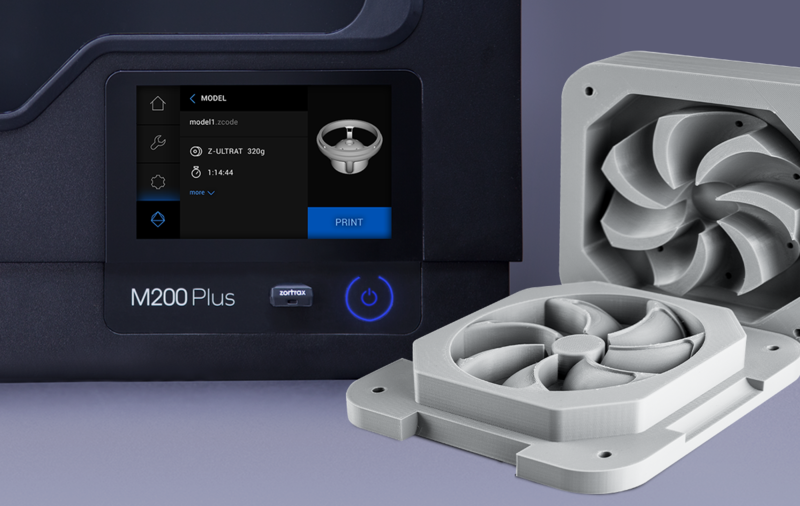 With Zortrax M200 Plus connected, your computer becomes the command center of smart, reliable additive manufacturing. Wi-Fi module installed in Zortrax M200 Plus offers a fitting alternative for the file transfer between computer and the 3D printer. This 3D printer has Ethernet as well thus you can connect it to your network easily and very stable. Wi-Fi module allows you to connect the devices together, creating manufacturing networks ready to cope with the most ambitious projects. If needed scale your production up. Manage all your 3D printers easily from a screen of your computer. Divide work between the devices to finish it quickly. 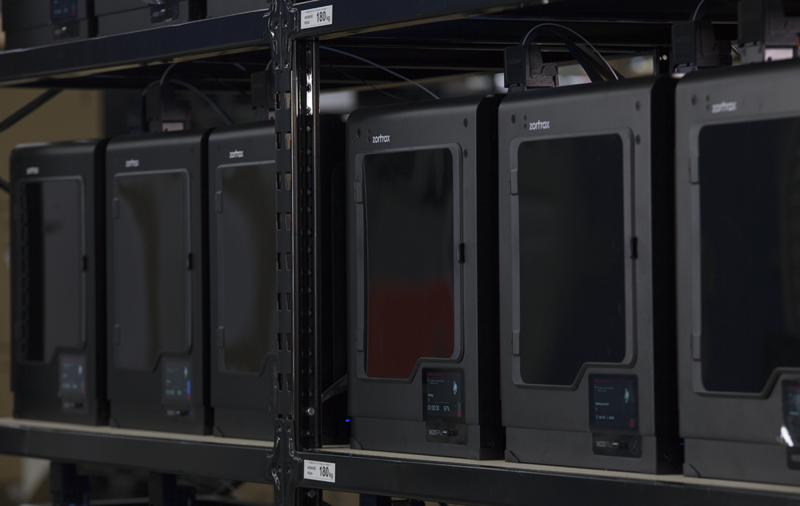 If you need a small-scale production, simply add more Zortrax M200 Plus 3D printers. Rely on the smart functionalities like filament end detection, upgraded extruder, build platform and camera for risk-free 3D printing. You will experience a whole new user experience. Create wireless networks of 3D printers and transfer files over Wi-Fi and Ethernet. Work on many projects simultaneously. Use 3D printing materials from Zortrax Ecosystem to maximize the quality of your 3D prints. Flexibility – The software allows you to experiment with third-party filaments. Zortrax M200 Plus is compatible with all filaments available for M Series 3D printers. Moreover, the upgraded extruder allows you to 3D print with the Z-SEMIFLEX material. Z-SEMIFLEX is a semi-elastic thermoplastic that can bend without breaking when a force is applied to its surface. Offering both resilience and elasticity, the material is a perfect choice for heavy-duty flexible parts. Excellent durability makes Z-ULTRAT an ideal filament for functional prototypes. Z-PETG, in turn, resists salts, acids, and alkalis. 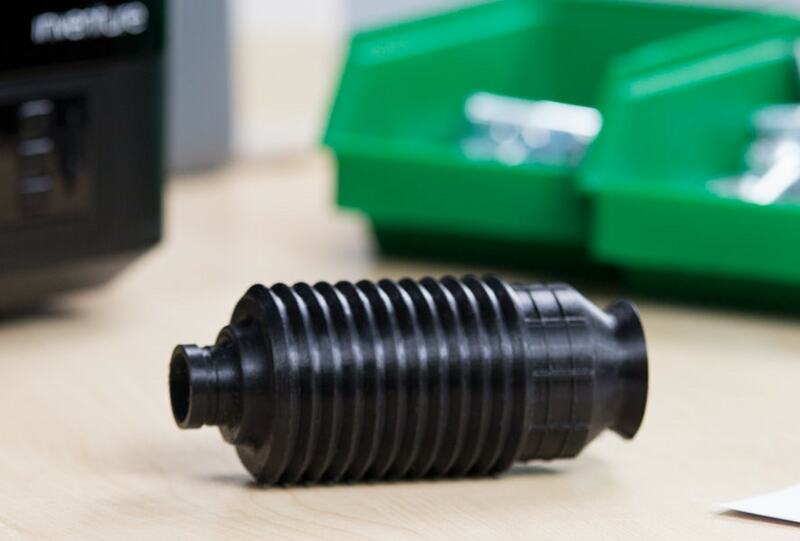 Both materials set the quality of 3D prints on par with injection-molded products. UV resistant Z-ASA Pro is a perfect material for outdoor applications. On the other hand, Z-PLA Pro offers great rigidity and durability with almost no warping. ABS-based filaments are resistant to heat and chemicals. These material properties make them a perfect choice for various kinds of functional prototypes that can be 3D printed in multiple colors. 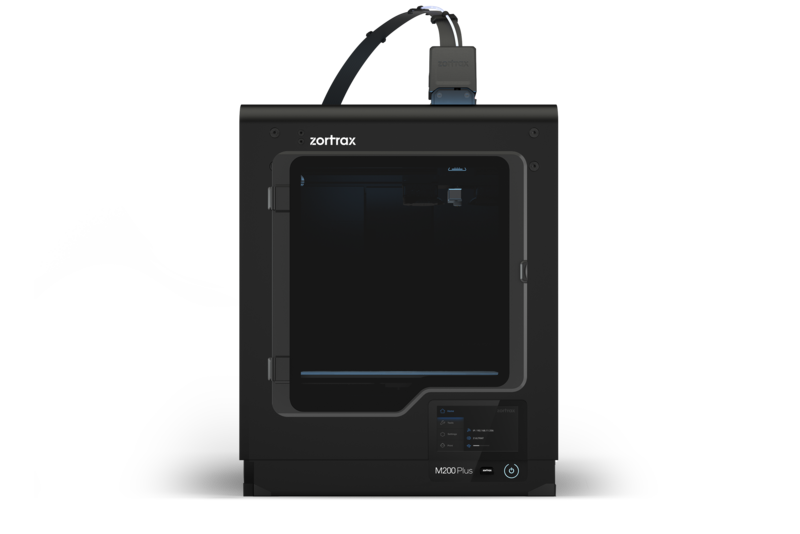 Buy the Zortrax M200 Plus 3D printer to experience integrated and scalable additive manufacturing.